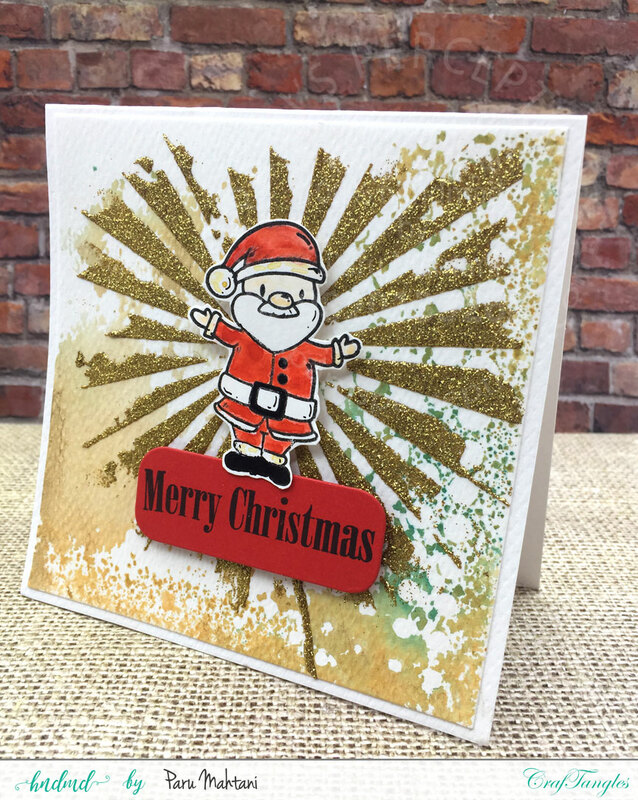 I have some fun christmas cards for you today, made, using the amazing Craftangles stamps, stencils, glimmer pastes and art sprays! For the 1st card, I started out by spraying two colours of Craftangles art spray.. Bamboo brown and Trendy teal onto the Craftangles 'Dots' stencil. I then sprayed some water on it and smooshed it onto a piece of 5"x5" pre cut white cardstock. 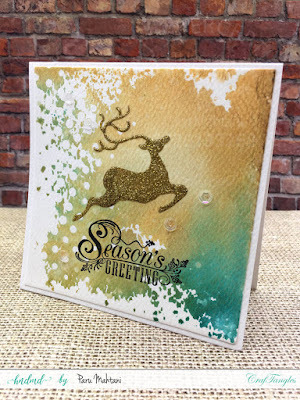 I then used the 'Rays stencil' and Craftangles Gold glimmer paste to finish the background. I then stamped coloured and fussy cut the santa from the Craftangles 'Santa Claus' stamp set and used 3D foam tape to adhere him to the card along with a sentiment. 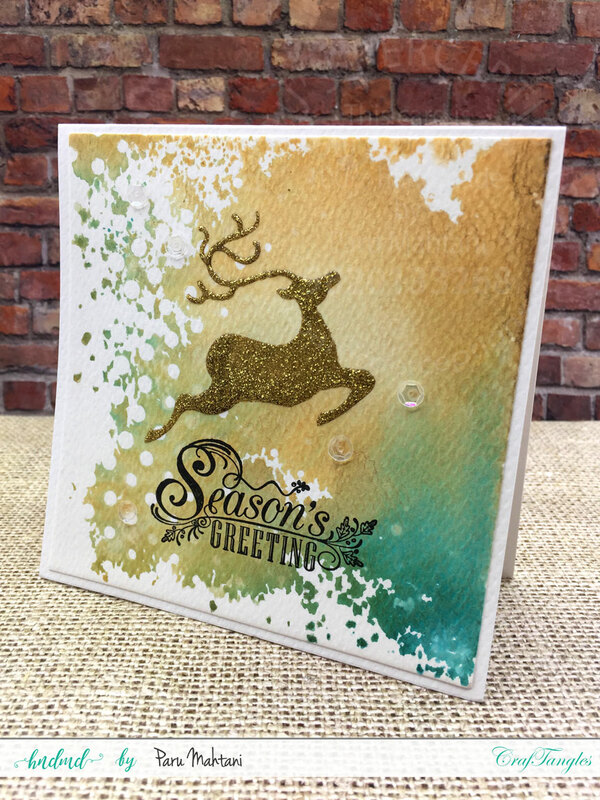 For the second card, I created a panel using the same materials and techniques as above and used the Craftangles 'Christmas elements' stencil and the Craftangles 'Gold glimmer paste' to add the focal element. I then stamped the sentiment (Craftangles Season's Greetings stamp set) with black Versafine ink to finish the card. 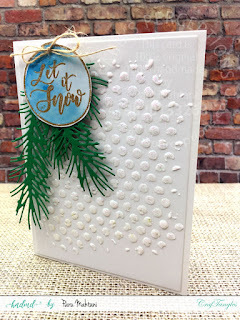 For the third card, I used the same stencil and stamp set as above, but decided to create an ink smooshed background using Tim Holtz distress inks. 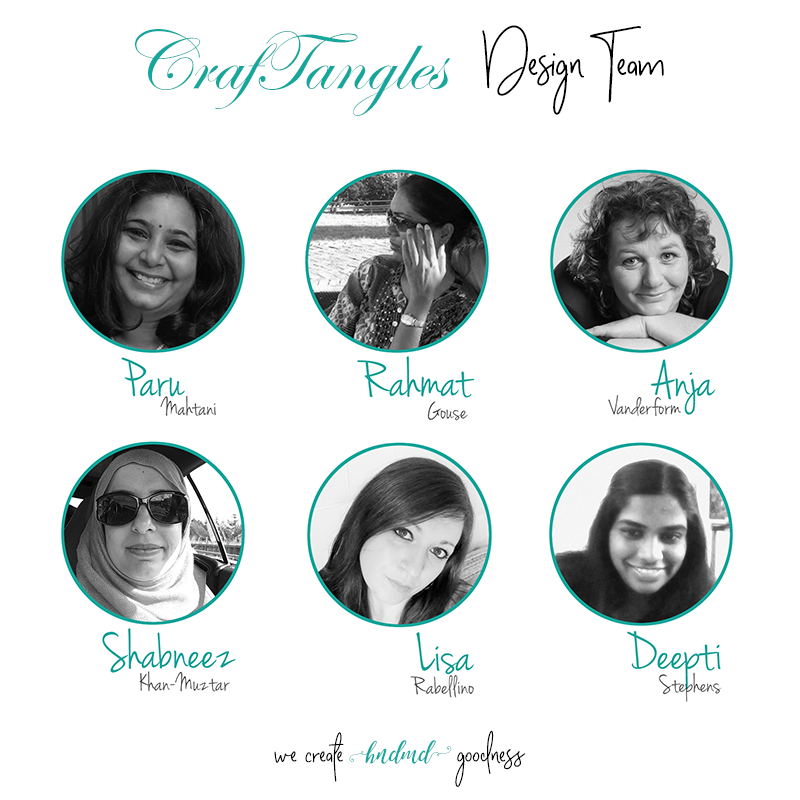 I just love the way it turned out!! 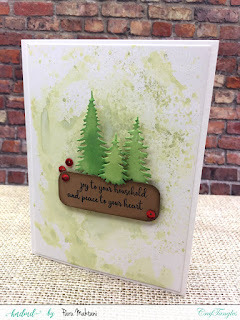 For the next card, I used the Craftnagles 'Christmas trees' stencil and Tim Holtz distress ink to create the background. 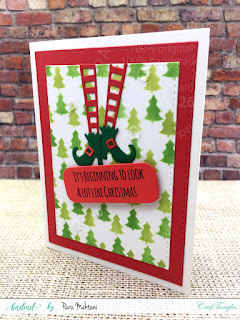 I then added the elf legs die cut an to anchor them I used a sentiment from the Craftangles 'Santa claus' stamp set. For the next card, I used the ink smooshing technique again and this time popped up some die cut Christmas trees with 3D foam tape as the focal element. 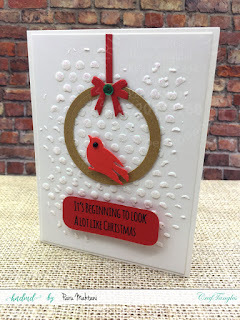 I used another sentiment from the Craftangles 'Season's Greetings' stamp set to finish the card along with some red metallic sequins from my stash. 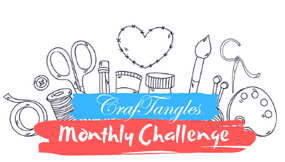 For the last two cards, I used the Craftangles 'Dots' stencil again along with the Craftangles 'Fairy dust glimmer paste. The first card, I added some die cut ferns and a gold embossed bauble fromthe Craftangles 'Christmas ornaments' stamp set, along with some jute twine, to finish the card. For the last card, I used a die cut circular frame, and a die cut bird and bow to create the focal image. 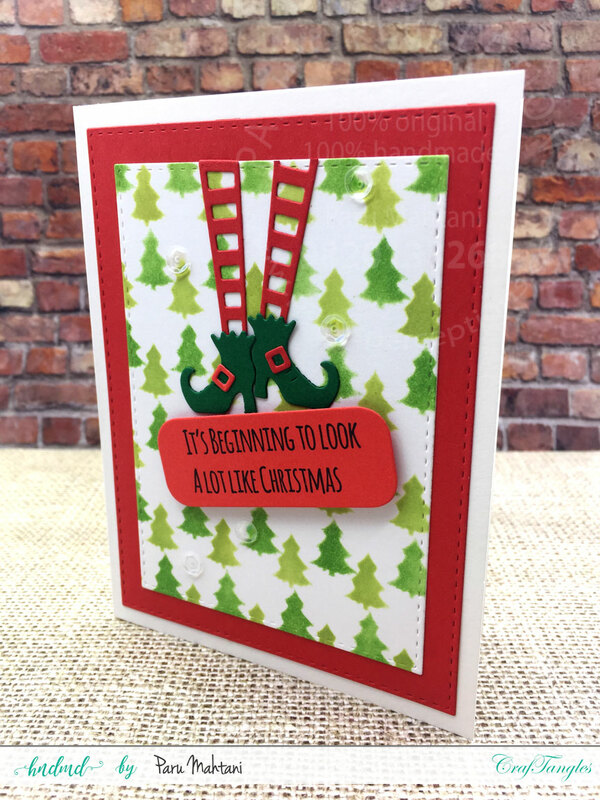 I added a sentiment from the Craftangles 'Santa Claus' stamp set to finish the card. 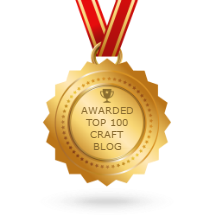 I hope you enjoyed these quick and easy cards and will give them a try!